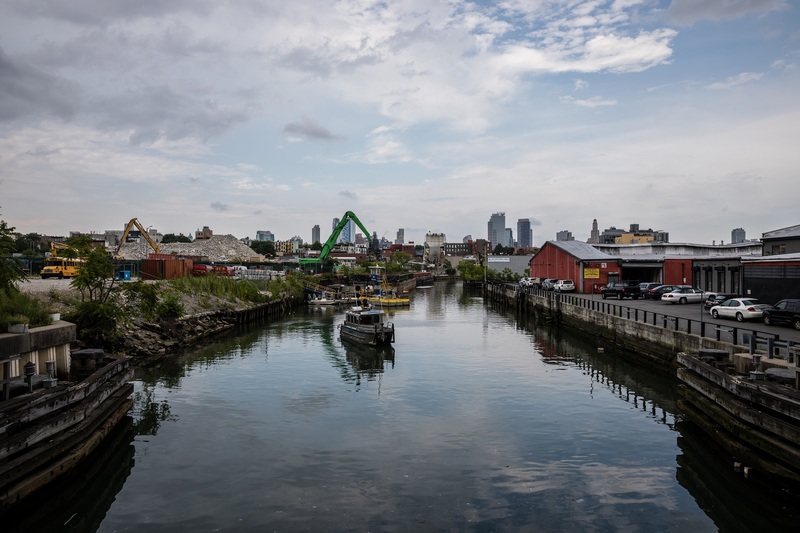 The Gowanus Canal cleanup is well underway and community members and archaeologists were excited to see what remnants of history emerged from the federal Superfund site’s sludge, Bklyner reported. Among the objects found so far during the pilot dredging project at the Fourth Street Turning Basin were an anchor from as early as the mid-nineteenth century, a dredging bucket, part of a gantry truck and other rusted remnants of the neighborhood’s industrial past. What wasn’t found were coveted artifacts that link the neighborhood to America’s history, such as the Battle of Brooklyn, one of the largest battles of the revolutionary war. There was a moment of hope when what looked like a revolutionary war cannonball emerged from the deep. But the object was made of wood and was likely just a discarded bocce ball. The dredged up eccentricities emerged covered in the canal’s infamous black mayonnaise, which was rinsed off, collected and transported by barge to another location to be stabilized. The plan is to ultimately use it as landfill cover. The Environmental Protection Agency and National Grid, a responsible party for the pollution, agreed on a $100 million settlement in April that will go towards the cleanup efforts, the Brooklyn Eagle reported.